According to its official rules, eBay has no objection to sellers opening multiple selling accounts and using all of them simultaneously. As sellers grow, they're often interested in organizing their selling more efficiently by opening multiple eBay accounts and stores. For example, if a seller specializes in clothing, she may want one account for that, and a separate account for everything else. Or, a seller may want to separate items purchased for resale from their own personal items. The greatest advantage of more than one eBay account is compartmentalized bookkeeping. A seller can keep the accounting separate and be able to track sales, profitability, and expenses much easier than if all merchandise was commingled. Separate eBay accounts, or stores, can easily be compared to owning multiple McDonald's franchises. The seller will know her exact numbers for each store and be able to make better business decisions when the numbers are allocated for each store. A second, or subsequent, eBay account can be a safety net. If one account is suspended for non-compliance, poor metrics, or some other reason, the seller will have the second store to fall back on, as long as the violation wasn't too serious. 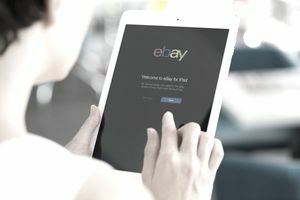 While multiple accounts are connected by IP address and eBay knows they are connected, both accounts may not be shut down due to a violation on only one account. Since the inception of eBay DSRs and below standard status, a backup store is important to sellers to ensure they can keep their business going if one account suffers flukes like too much negative feedback in a short period or having an item removed for not being authentic. Identification must be separate. Each eBay account must have a unique seller ID and email address. Cross-referencing isn't permitted. Under eBay rules, sellers may not cross-reference your accounts in listings. In other words, sellers may not promote one store using another account. Sellers may link to items or categories within the same store or on the same account. Multiple accounts are not a suspension remedy. If you've been suspended, don't simply register a new account in hopes of getting back into business. This is why you should establish a second account before you ever get into trouble. eBay's proprietary systems and data are very good at linking related accounts together and you'll find that your new account is quickly also suspended if the problems with your old account haven't been resolved. Registering a new account during an existing suspension as a knee-jerk reaction will get you into more trouble than trying to resolve the issues on your one existing account. Contact the right account. Sellers with multiple accounts may actually be businesses with multiple teams. When handling customer service issues or contacting your seller, it's important to contact the account involved in your transaction. Just as importantly, you can't be absolutely sure that two accounts are the same seller unless a seller gives you that information. Don't leave feedback across accounts. Don't be tempted to reference other selling accounts in your feedback, positive or negative, since you don't know for sure whether both accounts are in fact the same person. Doing so may open up your feedback to removal by eBay. You're not obligated to buy. Buying on eBay is a choice; if you're uncomfortable with a seller ID that you suspect of being one of several accounts, just don't buy from that seller. Always check the seller's feedback, the account opening date, and read the listings before buying. Make sure you are comfortable with a seller before purchasing anything on eBay.